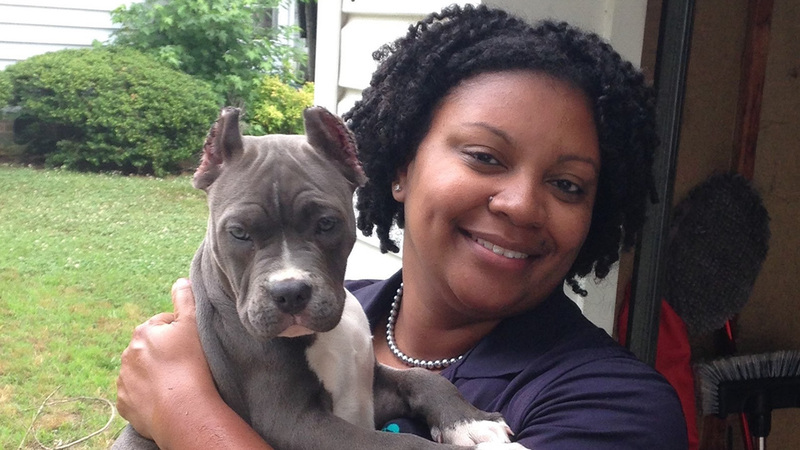 Missing puppy, Raven, was reunited with her owner. 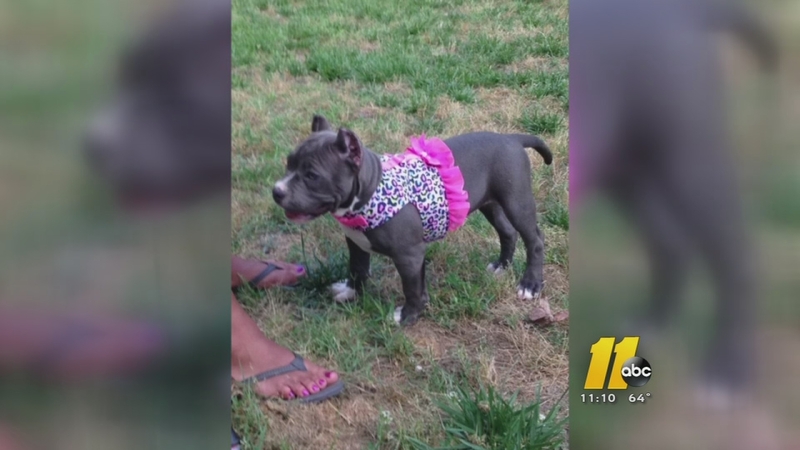 DURHAM (WTVD) -- A Durham couple was reunited with their puppy, Raven, just days after they reported her stolen. Monday evening, Benita Powell returned home on from work to find their Omer Lane home had been broken into. She noticed their television was gone, two laptops, their jewelry, and their brand new puppy. The crate in the kitchen was empty. She and her boyfriend, Cedric Satchel, had only brought little Raven home that Sunday night. Click here for more photos of Raven. Little Raven was stolen from her owner's kitchen on Monday during a burglary in Durham. At first glance, Raven looks like a pit bull breed, but Powell and Satchel said she's actually an American Bully, a new breed crossed with a bulldog. So when she's full grown, she'll actually be a lot shorter than a pit bull. They put up posters with Raven's picture all over their neighborhood hoping for her safe return. Their prayers were answered on Thursday after they got a tip and police brought Raven home. The couple did not say how Raven was found or if those responsible for her disappearance are facing charges.